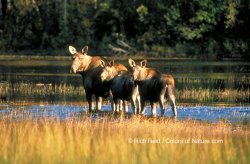 Mountains, rivers, glaciers, moose and salmon, and so much more. Let us take you to the places that few see, and fewer experience. Our best-known is our famous, long-running Gateway to the Arctic. This trip is run through REI Adventures for many, many years, but for 2018, we are making this a private, custom trip. One of the big reasons is simply because this trip has changed: long-time friend Joee Redington Jr, of Manley, AK, passed away over the 2017 summer. Stopping at his kennels, and having Joee and his wife Pam tell stories about mushing, the equipment, the dogs, and the people, was a high point. Joee’s father, the Senior to Joee’s Jr, was the founder of the Iditarod sled race. ALASKA is simply too huge to try to describe in a few words or few pictures – or on a web page. I have traveled much of it since I first came up here to work in 1990, and still have many more places to see. 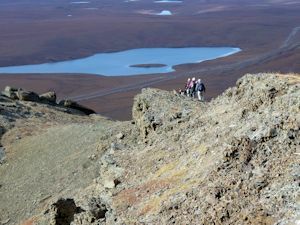 Those places that my trips visit make my trips as much cultural tours as camping or hiking tours, we know the people and the history and can make the trip a connection to those who live there. 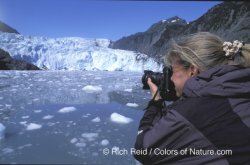 You will see some pictures here by Rich Reid of Rich Reid Photograhy, famous for his Alaska photos. I have worked with him on a variety of photo tours in the past, and if you think you have a good ‘eye’ and want to add some stunning Alaska shots to your collection, try one of Rich’s standard workshops (click on one of his photos), or a custom tour with us if you have a like-minded group that you’d like to travel with. My longest-running trip was the REI Adventures Gateway to the Arctic, a tour from Fairbanks to Prudhoe Bay. I have been doing it since the highway known as the Haul Road along the Alaska Pipeline first opened to the public in 1993. This 10-day trip started in Fairbanks, and ended at Prudhoe Bay. Along the way, we provided awesome scenery, dogsleders, a unique private hot springs, a genuine backcountry trapper, visit a native village that is not connected by a road to the rest of the world, canoe up a slough looking for a glimpse of moose, and climb an unnamed mountain in the Arctic National Wildlife Reserve. We’ll still do this trip as a private trip – one departure already late last year – with a modified itinerary to suit the group. Here are some of the other trips I have run before, with itineraries that I know work well. These are all available as custom or charter tours. Women’s Alaska Adventure; an 11-Day Alaskan Experience for Women. This trip is designed as an introduction to the great Alaskan outdoors….the all-woman atmosphere is designed for camaraderie and a chance to try things you’ve always wanted to, but didn’t have the chance, with the comfort of new found friends. Whether this trip is with the girls from work, life-long friends, or family, this trip is about discovering the adventure traveler within. This trip is planned with all are depart/return to Anchorage. Alaska Experience; This is the tour for everyone, a way to get an experience of Alaska, the sights, sounds, tastes of this magnificent state. Although this is the least strenuous of our trips, travelers should still expect to be walking in a variety of terrain and of course a mix of weather. There are many possibilities for this custom tour, contact me for a list of itinerary and time options.